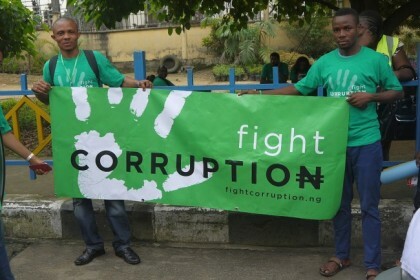 Segun Adeyemi, Abuja: The Minister of Information and Culture, Alhaji Lai Mohammed, has said the Federal Government will intensify the war against corruption to ensure that all those who abused the collective human rights of Nigerians through mindless looting of the treasury are brought to book. The Minister stated this in Abuja on Monday at the commissioning of the Human Rights Radio. “I want to say this without any equivocation that the protection of human rights is the first responsibility of any government and this government in particular has done more than anybody to protect the collective human rights of Nigerians. “I am going to prove this. The greatest assault to our collective human rights are those people who have stolen our money; those people who have pocketed money meant for roads, power, water, Medicare. Those are the people who have assaulted our collective human rights; those are the people who have reduced Nigerians to nothingness. Those are the people who have humiliated this country and this is why this government’s anti-corruption war must be supported by all and sundry,” he said. Alhaji Mohammed said the current economic hardship has its root in the reckless looting of the treasury by public officials, and that the Buhari’s government is doing everything possible to fix the economy and make Nigerians happy. “If we steal over $136 million, how can our roads be in good order or how can we have power,” he queried. The Minister, however, expressed delight that the introduction of the Whistle-blower Policy by this Administration is helping to expose corrupt officials and the recovery of billions of naira in stolen funds. “Within two months of our declaration of a policy of whistle blowers, we have been able to recover $160 million and N8 billion and what is this policy? It’s a policy that will encourage Nigerians who have any information of violation of our rights, commission of a crime, fraud or corruption or any Nigerian who knows where certain money is being held or being kept to anonymously contact us. We will protect his identity and if that information leads really to the recovery of money, he will be entitled to between 2% and 5% of the money recovered,” he said. The Minister said his ministry will partner with the Human Rights Radio to popularise the Whistle-blower Policy. In his remarks, the founder of the Human Rights Radio, Ahmed Isah, who described the Minister as his mentor, said the radio station will support humanity, irrespective of religious or ethnic inclinations. He described the radio station as the first to be solely dedicated to human rights in the country and promised to use the platform to project the image of Nigeria.